As we began our CGM adventure with much trepidation, we were embraced, truly embraced, by our friends Bill and Suzanne. I think the first time I “met” Bill was when he commented on Caleb’s low video and dubbed him a “Diabetic Ninja“. Shortly thereafter he named Caleb “Diabetic of the Day” in one of his own videos. Bill was one of the first people who found us through Caleb’s face on YouTube. I remember how Caleb smiled when he saw that he was in Bill’s video. As I’m sure was intended, it made him happy. We have kept in touch with Bill and he and Caleb even have a friendly rivalry over their favorite baseball teams – Bill’s Red Sox v. Caleb’s Yankees. Through Bill, we met Suzanne. Suzanne and I tweeted a great deal about DexCom. She answered my unending questions and understood my apprehensions about putting Caleb through another skin piercing process. She knew of Caleb and Bill’s relationship and asked if a video from Bill might help us prepare for our training. Of course the answer was, “yes”. Bill and Suzanne helped us so much through our CGM transition. They went out of their way to make these videos for Caleb and sent us many heartfelt emails and tweets. Thank you my happy diabetic friends! “It’s all about your attitude!” Yours are fantastic, influential and even contagious!! 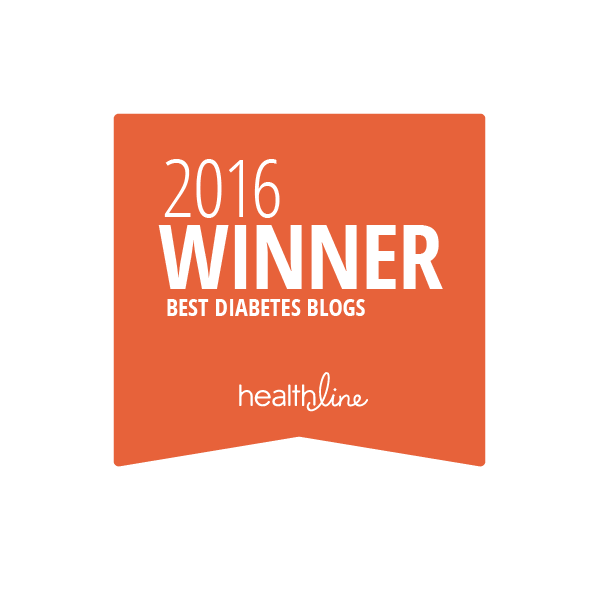 CGM impact – is A1C all there is? 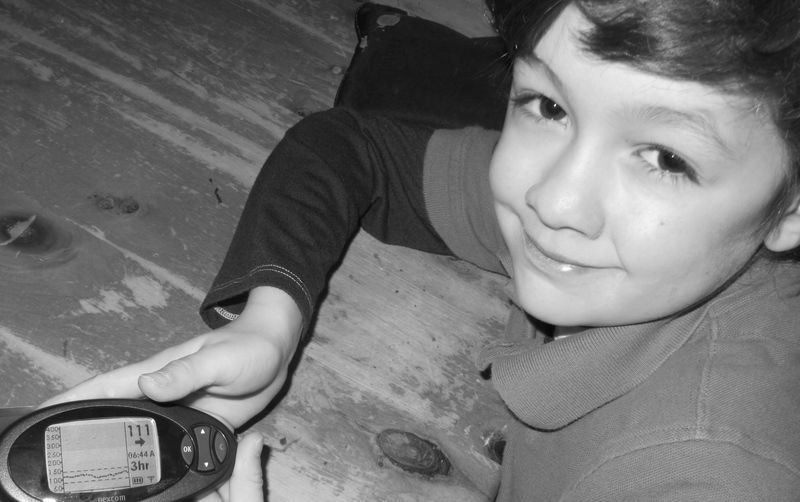 Caleb started using the DexCom Seven Plus continuous glucose system in September. This week was his first endo appointment since starting, a tidy three months later. I had no apprehensions about this appointment. In fact, I expected us to be in and out quickly. We just needed an update to Caleb’s prescriptions in addition to the normal routine. I was however curious to see what impact using DexCom had on Caleb’s A1C. His A1C results have always been strong and we seem to keep chugging along. This quarter’s results were no different. His A1C was unchanged. I wasn’t necessarily expecting a change, but I am a numbers and measurements kind of person. Even if it went up, I could say we were dealing with lows better. We had introduced a significant enhancement to his diabetes care. It seemed odd not to have it reflected in “the number”. If there had been any measurable difference, then I could attribute it to CGM and thus justify its use. His A1C was not giving me that justification. My biggest reluctance to starting CGM was asking Caleb to endure more discomfort without realizing a tangible benefit. He would have to be poked. He would have to wear the transmitter and carry the receiver. He would be the one who would be interrupted by all the beeps and alarms. Of course this is all to improve his glucose control, but that’s not measurable to him. I would be able to rest a little easier at night. I would be less stressed when separated from him. I would be less anxious between finger sticks wondering what was going on inside him. It seemed he was making all the sacrifices and I was getting all the benefit. So it would be nice to have something to point to to say yes indeedy, this is worth it – look, your A1C shows it. There’s no doubt about it. This was the right thing to do. It’s all here in black and white. 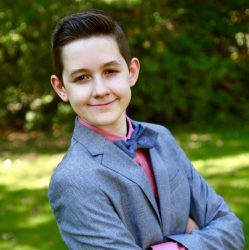 Caleb’s doctor explained that when you already have tight glucose control, CGM typically will not change your A1C result. However, the quality of that result is often improved. In other words, the average of your blood glucose is still the same, but you are avoiding the high highs and the low lows that cancel each other out. The peaks and valleys are more subtle. The A1C remains unchanged, but it’s still a “better” A1c. Hm. Okay. So do I believe that is the case with Caleb? It may be. I feel like we have caught things quicker and there are less surprises. We still have highs and lows, but they seem less severe. I don’t tend to go on feelings though. I like hard facts. Embracing this concept, although perfectly logical, isn’t all that easy for me. After tweeting my concern (and doing a poor job of it because I led people to believe that I was a bit of a lunatic and wanted Caleb’s A1C lower and truly that was not my objective at all) I believe I got the justification that I was looking for. My wise friend, Melinda, helped me get there. She has a teenage son who has lived with diabetes since he was just younger than Caleb is now. Talking to her is like taking a magical trip into the future and getting a flavor of what it might hold for us. I realized, with Melinda’s help, that an A1C isn’t the only way to measure the success of CGM. From the beginning I have stated that DexCom provided me some relief. I could see things before my eyes instead of worrying and wondering. I think I got so used to that so quickly, that I didn’t realize how much of an impact it has. I know that I am generally less anxious about Caleb’s BGs. I am wound pretty tightly to begin with, so it doesn’t take much to get me excited. There is a true, tangible value in decreasing the stress factor. It’s one that is very important to me. I know that Caleb has a lifetime of this management in front of him and how I handle it today will impact how he handles it tomorrow. I know I do a good job of keeping Caleb’s blood sugars in tight control. I also know I do a poor job of hiding the impact the out of range numbers have on my psyche. That is where I need help and DexCom has provided it. The answer is no, A1C impact is not all there is to CGM. There is much more. Thank you Melinda and all my Twitter friends for helping me understand that. It’s been almost two months since Caleb had his first DexCom insertion. Thankfully, the learning curve of CGM is not nearly as great as that of pumping. Plus, if something goes wrong with the transmitter or sensor or even receiver, there is not as much panic as when something goes wrong with an insulin pump (like ripping it off the first night because you completely forgot about it). You’re not cutting off life support after all. So the transition to CGM is much more subtle than the transition to pumping. That was a relief. We have had a couple of bumps. For nights on end, it would just not work. It literally seemed to go to sleep when Caleb went to sleep and wake up when Caleb woke up. With some help from fellow DexCom users, that was resolved. The receiver works great when it’s in the bed with Caleb. Not so great on the nightstand or windowsill. We had a receiver go kaput. We’ve had a couple of off sensors – one just complete fail. DexCom replaced them. But otherwise. No real issues. It’s kind of “plug and go”. Our training consisted of watching the nurse do Caleb’s first insertion. Oh, and I read the manual. CGM has had an immediate impact in several ways. I was instantly more relaxed. We had pizza that first night and I wasn’t on edge wondering if I got the initial bolus right or if the extended bolus would cause him to go low. I could watch the changes in Caleb’s BG as they occurred. But on the flip side, I get stressed as I watch the BG rise. And when it continues to rise despite corrections, it’s downright maddening. Because the blindfold is off, I could see for certain what I always suspected. Caleb’s blood sugar was often rising significantly within the first hour after he ate. It came back down at the two hour mark and I saw the happy in-range BG we typically see with fingersticks, but now I knew for sure what was happening in between. Frankly, it was depressing. His graphs looked like the lie detector charts of a big fat liar. I mean, serious pants on fire. It wasn’t surprising, but there had been comfort in dealing with the ten or twelve points in time and just ignoring the rest. This new knowledge is power. I was able to make basal changes or adjust the time of a prebolus making immediate impacts. Caleb’s chart looked more truthful right away. CGM provides another form of relief – during the times when I, his diabetes manager, am separated from him. Caleb has a great support system at school, but now there is an added safety net. Should he not feel a low coming on, there is a plan B. Another voice buzzing from his hip that might notice a low before he does. This applies to other times too – like after-school activities or the rigors of Walking Club before school on Wednesdays. We have a little more freedom; a little less stress. In general, there are times where we simply have information that we would not otherwise have; times when we do not have to stop, open up his PDM case and go through the whole exercise of a fingerstick. A quick peek and we have a sense of what to do. We’ve either eliminated the wonder or saved the inconvenience of an extra BG check. And here is my favorite thing about CGM: I love, love, love the directional arrows. Directional arrows make all the difference in the world to me. If a regular blood sugar meter could tell the direction of blood sugar levels, even with just 10 points in time each day, that would be a huge improvement. If Caleb is at school and the nurse calls me with an unusual situation, she will tell me his BG from the finger stick and the direction of the CGM. This can change the course of action from that if only the BG was available. If I had known the direction of Caleb’s BG that night after eating pasta at the restaurant, I KNOW we would have avoided that low. I would have seen “121” and double arrows down. That is so much more meaningful than just “121”. The last enhancement worthy of mention is nighttime. It’s a little less grueling. Looking at the CGM is significantly easier in the middle of the night than inserting a test strip into the PDM, poking a hole in Caleb’s toe and (often pop-eyed) trying to align that little half circle with the drop of blood. Some nights I am so out of it, with little depth perception, that I am dabbing a blood-free part of his toe waiting for it to register. I still have to do all that when there are out of range BGs, but the “just make sure” checks are much more seamless. So here we are. We were reluctant to start. Underwhelmed when we began. We are starting to adapt. When Caleb was diagnosed, we were told he would have to wait at least six months for an insulin pump. We were told insurance would not cover it until we could show that injections weren’t working. I have since heard that some doctors will not prescribe a pump until a year after diagnosis because they prefer their patients not start until the honeymoon is over. The good news is, Caleb did not have to wait to start pumping. He had his first Pod on about 3 months after diagnosis. The not so good news is that the first year and a half of pumping was a struggle. Well, diabetes is always a challenge. We still struggle. But for that first year and a half, stress and confusion were abundant. (4) we were managing insulin dosing with an erratic, fickle pancreas that produced some level of insulin without rhyme or reason and without notice, aka: the honeymoon. Caleb’s honeymoon and its subsequent deterioration has never been medically tested. However, over time, I saw gradual changes in two areas. His overall dosing would creep up and plateau and creep up and plateau. Each time it flattened out, I would say, “Okay, the honeymoon is over”, only to be proven wrong and go through it all over again. The other thing that changed was the reaction Caleb’s BG had to various foods. Every once in a while a food that never before posed any issue would cause erratic blood sugar readings. When first diagnosed, there were no problem foods at all. Even pasta and pizza were just like everything else. Pasta was the first to cause problems. Then gradually pizza and chinese food joined the mix. I would get the dosing down for them, only for it to change. Then anything processed or fried started to wreak havoc. Chicken fingers and fries became cursed foods. Later ice cream and others. Nights were by far the hardest with which to deal. Between the hours of 8PM and midnight, Caleb’s insulin dosing was anyone’s guess. We would go through periods of dinners of protein and veggies for weeks in order to figure out his basal pattern, to no avail. His insulin needs would go up, up, up then down, down down. Up and down; high and low. I had different spreadsheets for his basals, his carbs, his BGs. I tracked his corrections and treatments. I mapped his dosing and BGs by hour for any “challenging” food every time he ate it. I even had a legend detailing various foods and their dosing “exceptions”. I am a finance person. I am accustomed to trends and analyses. If I analyzed this long enough, and in enough detail, I would solve this puzzle. Or so I thought. Then, when I thought it could not get any worse or more erratic, the bottom fell out. Over just a few months, his basal TDD went from three units to six and then eight. The breakfasts of oatmeal or Costco bagels that had been such friendly alternatives were now added to “the list” of foods. All the rules had changed and things had to be relearned. It was like going through diagnosis or pump start all over again. Initially, each time Caleb took what I call another “step” out of the honeymoon, I would feel sad. I would think his pancreas had completely failed and I mourned for it. Of course, I was always wrong, and it would take another, albeit smaller, gasp for life and peter on. We went through this so many times, that by the time it did go completely kaput, nearly two years after diagnosis, I was relieved. 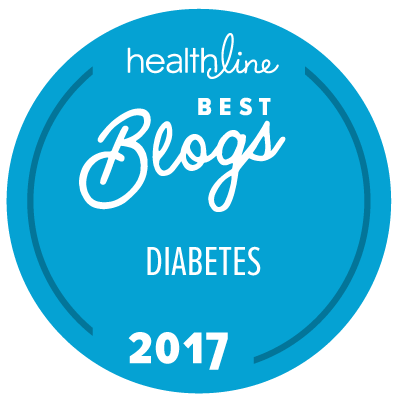 With so many variables to manage when caring for someone living with diabetes, I was happy that the unpredictabilities a schizophrenic pancreas pose were no longer among them. So perhaps, for some, it is wise to wait a year after diagnosis before pumping. However, despite the grief I believe it posed for us, I am still pleased with our decision to start pumping quickly and would do it all over again. Caleb with his first Pod. Deciding to pump was not hard. Even deciding which pump was not hard. What came after was a surprising challenge. Six weeks after diagnosis, Caleb had his first endo appointment. We covered many bases at this meeting, including insulin pumps. I labor over the smallest decisions. There is little that I take lightly. I research, ponder, marinate, research a little more, think, inquire and finally decide. When I decide, I am confident and committed. By that point, I know what I want. Pumping for Caleb was no different. I sat with Caleb and my husband. I listened to her describe the devices. I waited for her to finish and asked, “what about the OmniPod“. Perhaps what was said was not quite as surprising as the way it was said. She implied that we were fools to consider it and further, we really had no clue what we were talking about. We were asked, “where did you hear about it”, as if it was important to know the source of our supposed misinformation. We were “pooh-poohed”. If you know me, you know that I am not afraid to speak my mind. I am not afraid to go against the grain. I am stubborn and outspoken. A civil discussion ensued. I explained that it was not too big. That I knew of a child who was two when he began using it with success (Caleb was then four). I had spoken to that child’s mother. I explained that although I agreed the portion adhered to the body is bigger, the overall device that was effectively attached to the body was smaller. She really tried to talk us out of it. But her basis was invalid based upon what we knew. We did not come to our conclusion without careful thought. We could be wrong, but we wanted to at least give this a try. With a smirk, she conceded. I envisioned, “you’ll see”, going through her mind. Shortly thereafter, Caleb began pumping with the OmniPod. We dealt with various people at the endo office as he got started. Everyone’s reaction included surprise that someone of Caleb’s age would use the OmniPod. Nevertheless, they supported it. Caleb has been pumping with the OmniPod for over two years. We have never had any issues with the size of the Pod. At the time, there was no one else at his endo’s office under the age of twelve using it. For several of Caleb’s endo visits after he started pumping, the tables were turned. We were being asked more questions than we were asking. 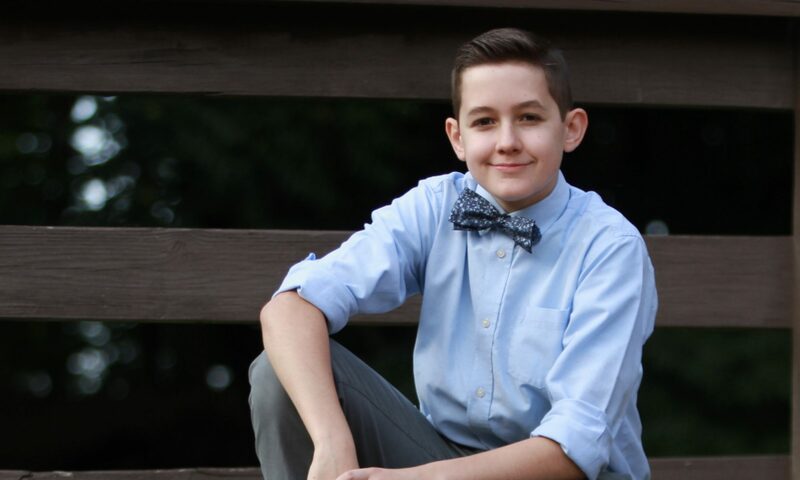 They could see that the OmniPod was a viable option for children Caleb’s age, and they wanted to learn from our experiences so they could advise other patients. I believe Caleb’s endo felt they were providing reasonable guidance. Because the OmniPod was relatively new at the time, there was not a lot to draw upon and I believe they simply made some assumptions about its use. I am appreciative that they were willing to support our choice, even when they did not agree with it. This experience solidified my understanding that I am my son’s greatest advocate. Even including doctors and nurses with the best intentions, only I truly have his best interests in mind. I will continue to research, which includes consultation with Caleb’s doctors. However, I will continue to make decisions that I, and soon, that both Caleb and I have concluded are the best for him, either because of or despite his doctor’s advice.